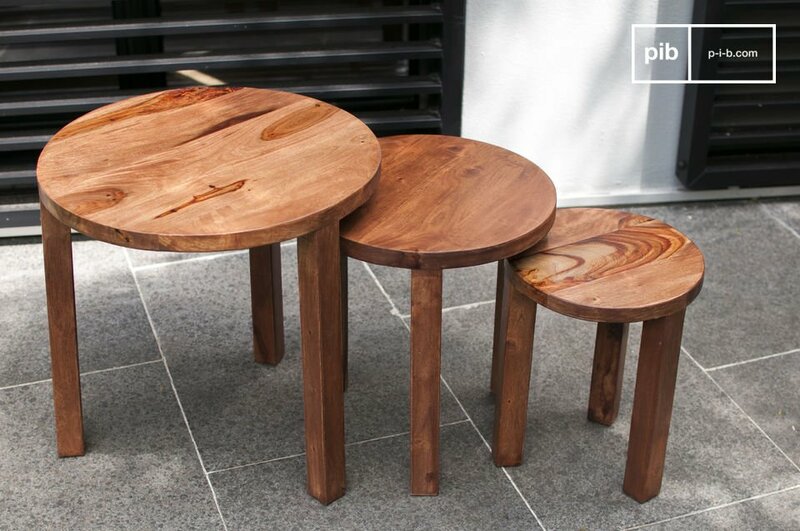 The three-piece nesting table Roza will complement your interior perfectly, regardless whether you have designed it classic or modern. 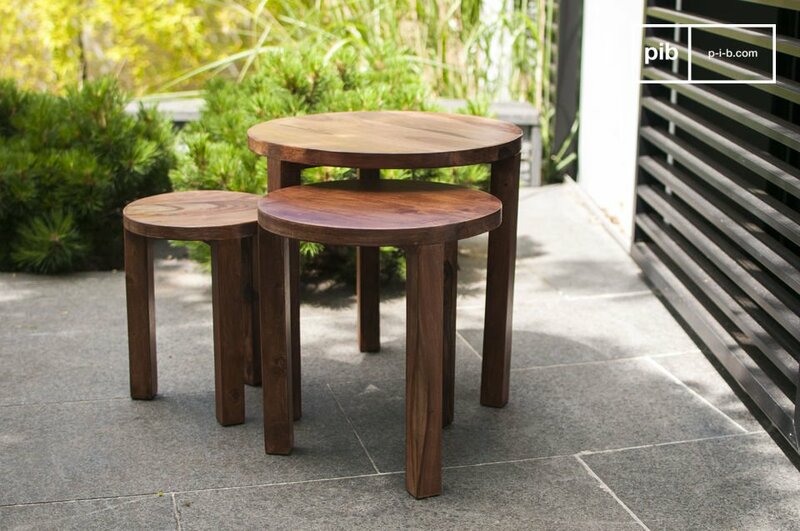 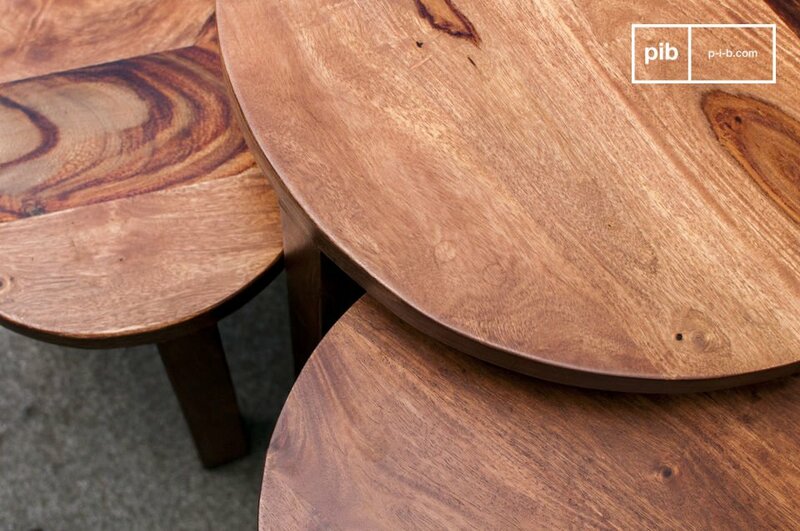 This trio is entirely made of varnished solid rosewood and it will bring warmth to your home with its simple beauty. 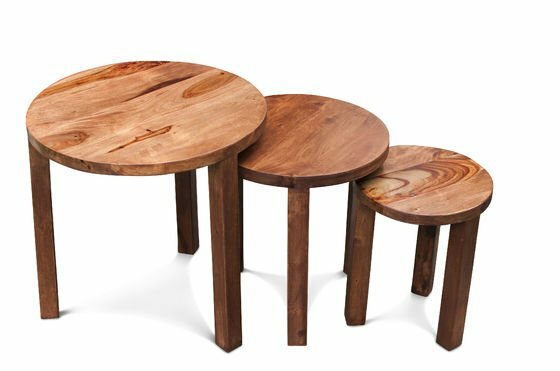 These three tables accompany you while reading in a corner of the living room, while enjoying a glass of wine with your sweetheart, as a practical nesting coffee table, functional for entertaining guests or as space-saving side tables at the end of your sofa.